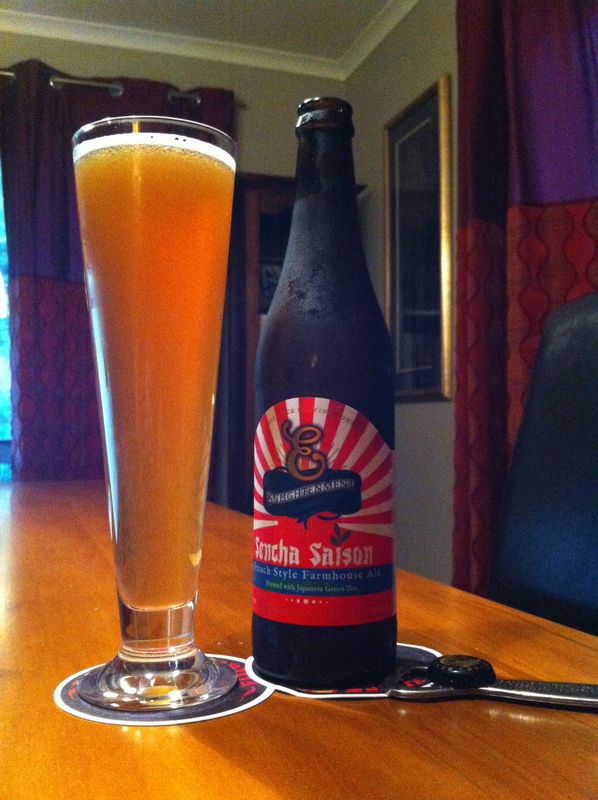 Renaissance – Enlightenment Series – Sencha Saison. 600 Beers. My poor liver. So Strange beer, strange numbers, strange musics and strangers. French style farmhouse ale brewed with Japanese Green Tea. A light coloured Saison with hints of spice and a soft malt character. The hop presence is low, the slightly sour dry finish allows the unique flavour of the tea to shine through. The use of Japanese lemon, lime, and hibiscus tea give a subtle sweet and sour finish with notes of tea leaves. Thanks to the brewer Matt Dainty and Tea Total. So what could possibly go wrong? I like tea, sometimes. Lemony citrus tangerines sugars are when the aroma is. Pour is honey yellow, aroma is still a Mélange of things fruit and sugars. Oh larks! It like tea! it really is like tea It’s wonderful and entertaining and refreshing. And cold like beer. It has some of the yeasty things that a Saison should have in the mix, and is sweeter overall than most others of the type, I think. Fantastically aromatic this gives you far warning of the things to come as you drink, it’s quite the end-to-end experience, which I’ve really enjoyed and would do again. Is is perfect? I don’t think it is, for me a bit sweet, and not yeasty sugary bubblegum enough in the taste, but sensational otherwise. The pdubyah-o-meter rates this as 9 of its things from the thing. Am I enjoying it? It is quite the thing, and is thoroughly worth it. Would I have another? It would be hard to pass up another. Would I share with a friend on a porch and set the world to rights ? Of course this is the ideal summer evening experience to start a conversation, I think you’d move on to other things after a short stint but what a way to get going. Musically speaking, Interpol, an American rock band from New York City, this is All the rage back home, you can listen to the album El Pintor here on Spotify and all the other places perhaps. 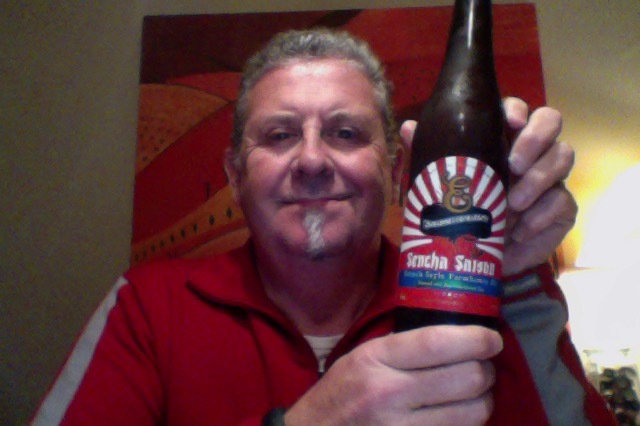 This entry was posted on May 9, 2015 by Philip Walter in Beer, Beer of New Zealand, Beer Review, Craft Beer, Critic, Renaissance, Saison and tagged Alcohol by volume, craft beer, Renaissance - Enlightenment Series - Sencha Saison, Renaissance Brewing, Saison, Sencha Saison.